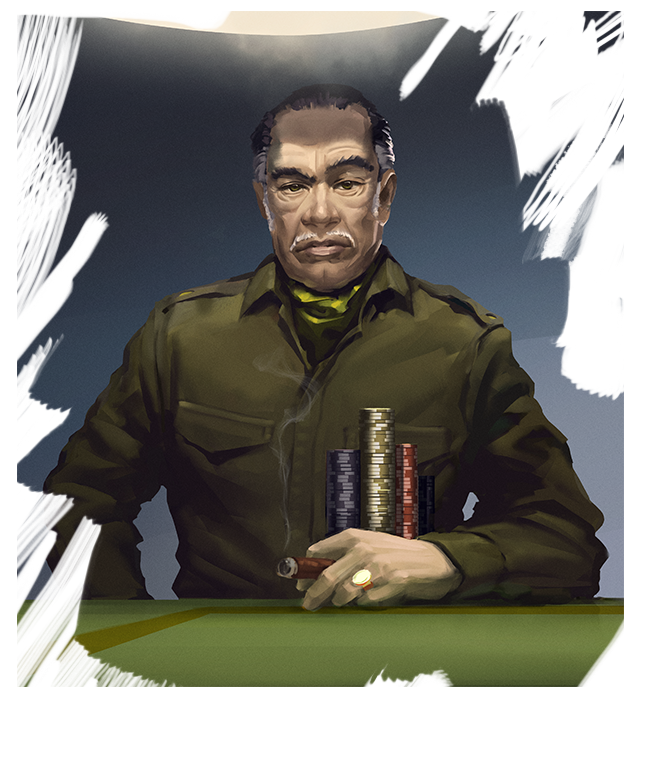 No one really knows how the General came to own the 7 Sins Casino. And no one is about to ask. The desert is big. And soft to a shovel’s touch. Hands of Victory is his baby and the idea of someone else leaving with his trophy is not part of his plans. So he weighs up for his potential lack of talent by maximizing his home court advantage. Will an extra pair of eyes covering his back be enough considering who he’ll be facing?